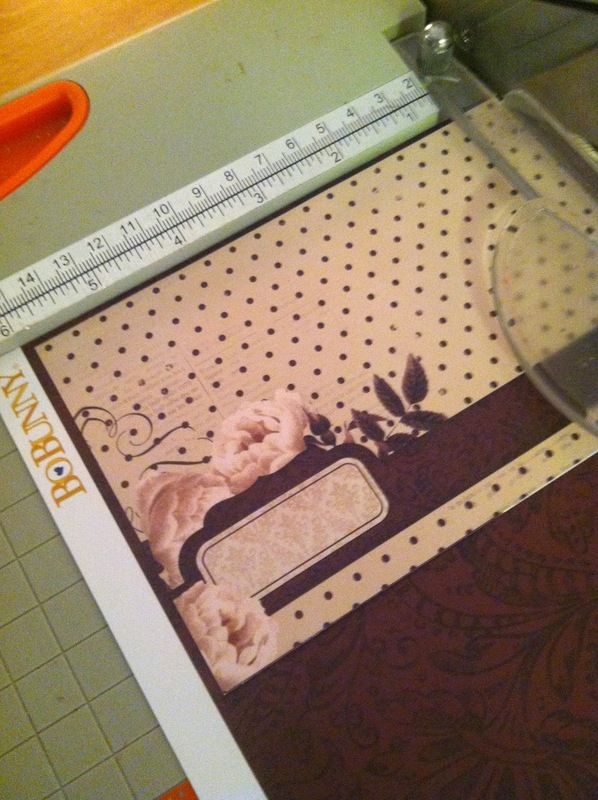 I was so excited when I found out I would be designing with the Bo Bunny Rose Cafe" Bundle by FotoBella! 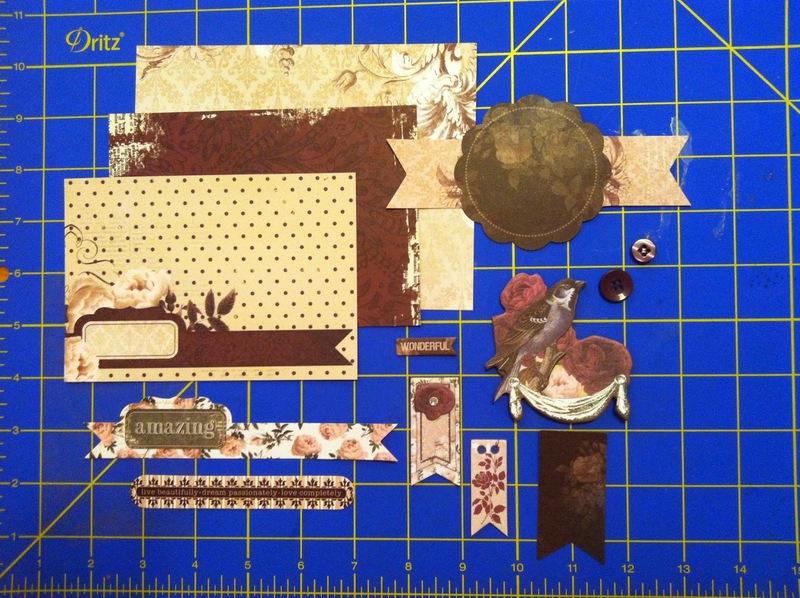 Look at all the amazing embellishments and papers you get with your Bundle! The Rose Cafe' collection has beautiful bright papers in various shades of blue, yellow and white, soft pale pink with burgundy and brown accents. The paper collection also contain two sheets of small images, which can be used as images on cards or in Project Life page sleeves. Also included in this bundle is an "Ephemera" pack, Bo Bunny's signature "Noteworthy" pack, (40 coordinating die cuts), a pack of coordinating "Layered Chipboard", one pack of 21 coordinating "Chipboard Buttons", "Stamp Stickers" and a really cool "Film Strip" sticker! 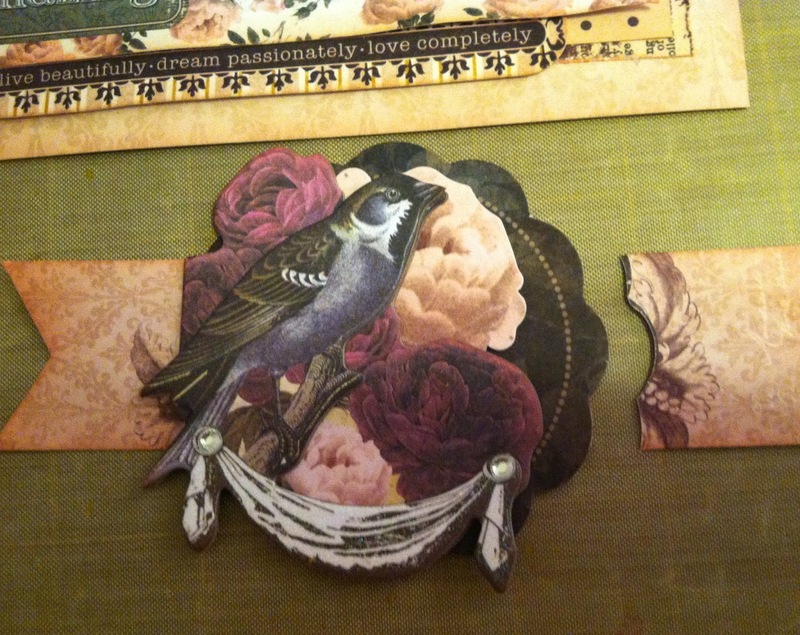 Collage cards are fun to assemble and you can really show off your creative side! Today I am going to share with you how to make this beautiful Valentine Collage card, using some of the gorgeous embellishments from the Bo Bunny Rose Cafe Bundle! Here are the pieces needed to assemble this card. You may want to gather them before you begin! 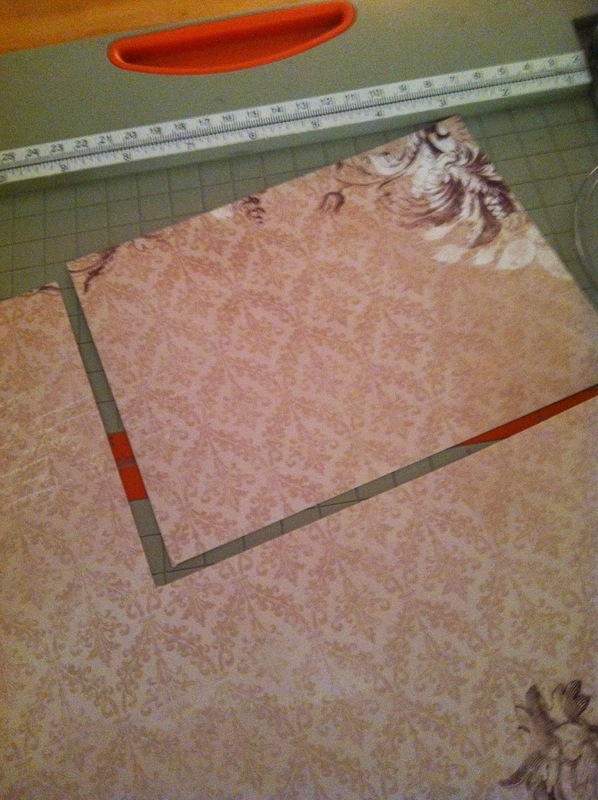 Cut out a rectangle measuring 5 " x 6.5"from the back side of the paper called "Post". This will cover the entire base of the card front. 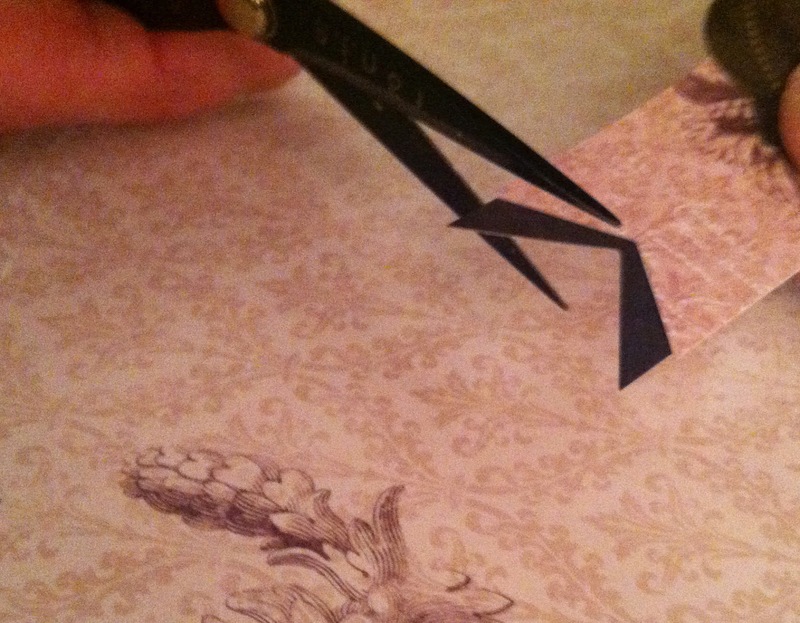 You will want to cut it so that the flourish is on the Top Right side of the paper. Cut the Pink Dot rectangle from the paper "Dreamers". 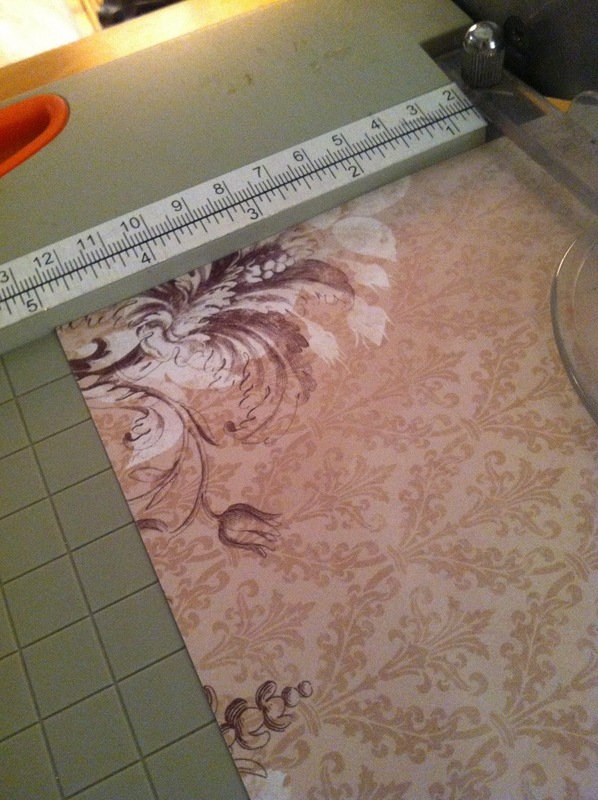 Trim the right edge so it measures 5 5/8"inches. Ink the edges with Victorian Velvet Distress Ink if desired. 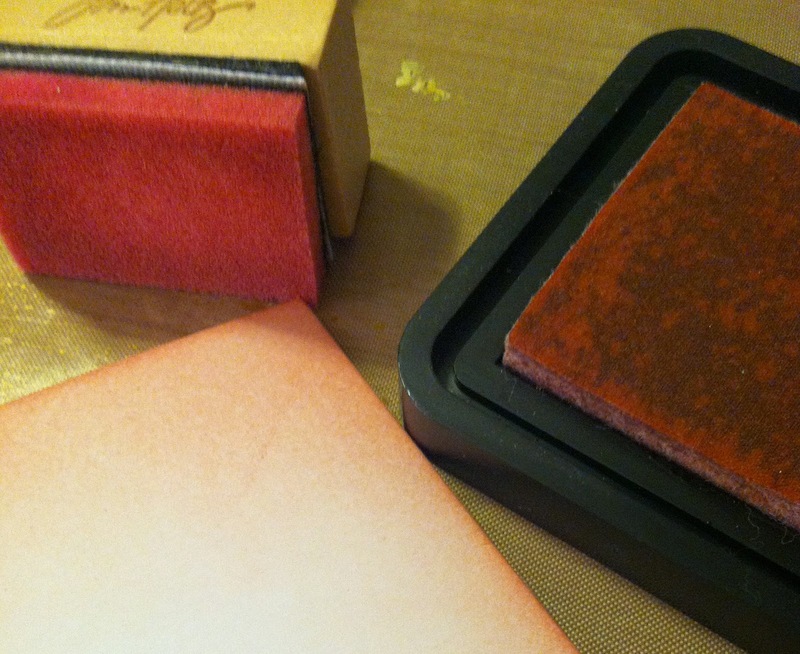 Cut the burgundy "French Roast" paper to measure 6 1/8 x 4 1/8. to ensure there is a 1/4 " border around it on all sides. Now that you have cut out and prepared your papers, adhere them to your card. The large paper covers the entire card base. The burgundy and pink papers are centered and adhered to the center of the card as shown. You are now ready to add the embellishments! From the Ephemera pack, select the "amazing" floral banner, and the pink banner with the big brown flower and 2 flags.) Adhere the "amazing" banner to the card, just slightly below the burgundy banner as shown but as you adhere it, tuck the "live beautifully" banner underneath it, if desired. Remove the bird sticker from it's background layer, place a small pink rose behind the bird's head, then press it down on the brown flower. Cut the right flag from the banner, and set it aside. 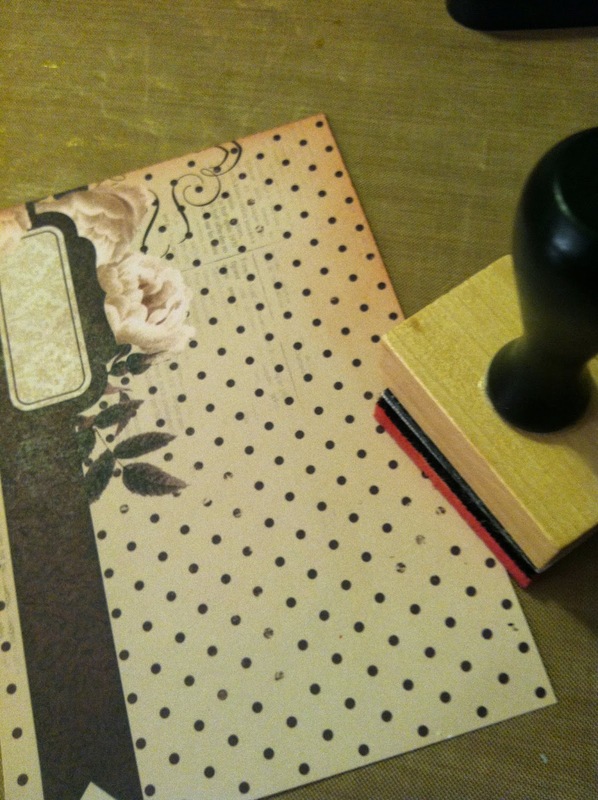 Adhere the pink and brown floral banner to the top of the card with pop dots. 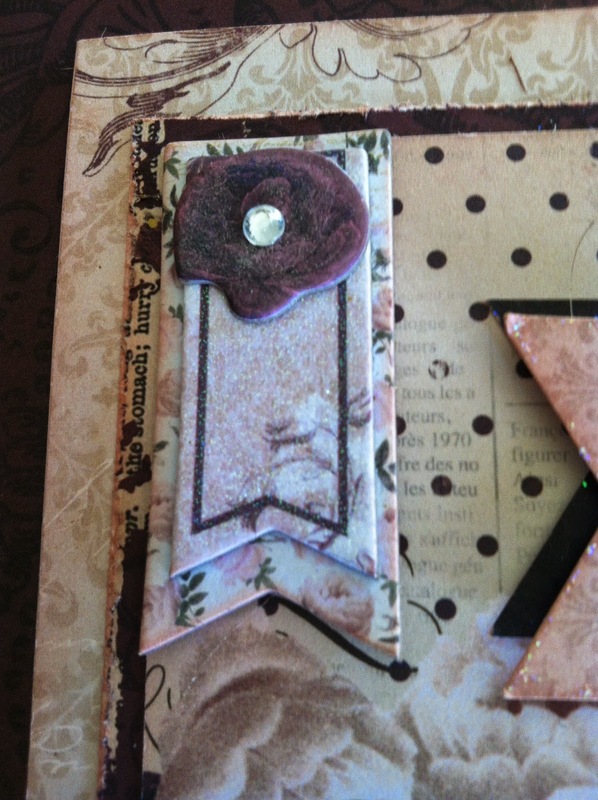 Add the layered chipboard banner to the top left side of the card. 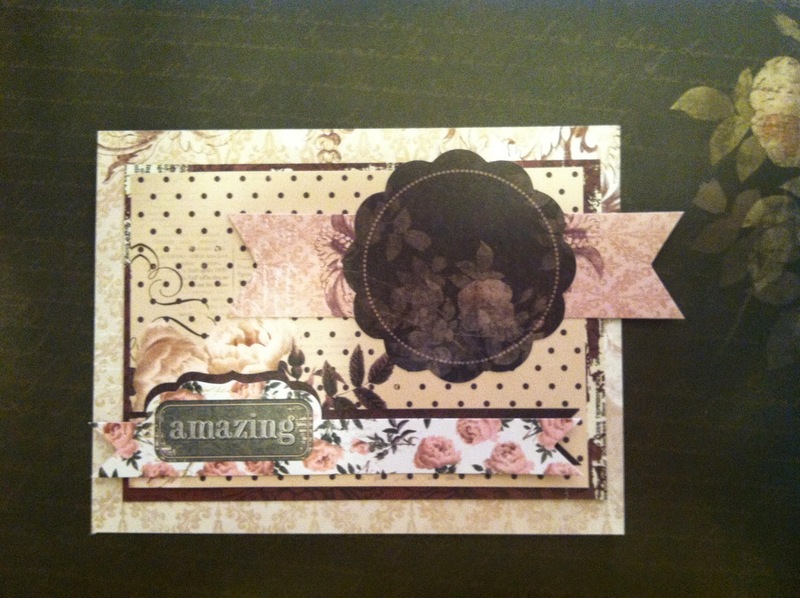 Place the chipboard sticker "wonderful" to the top right side of the card. 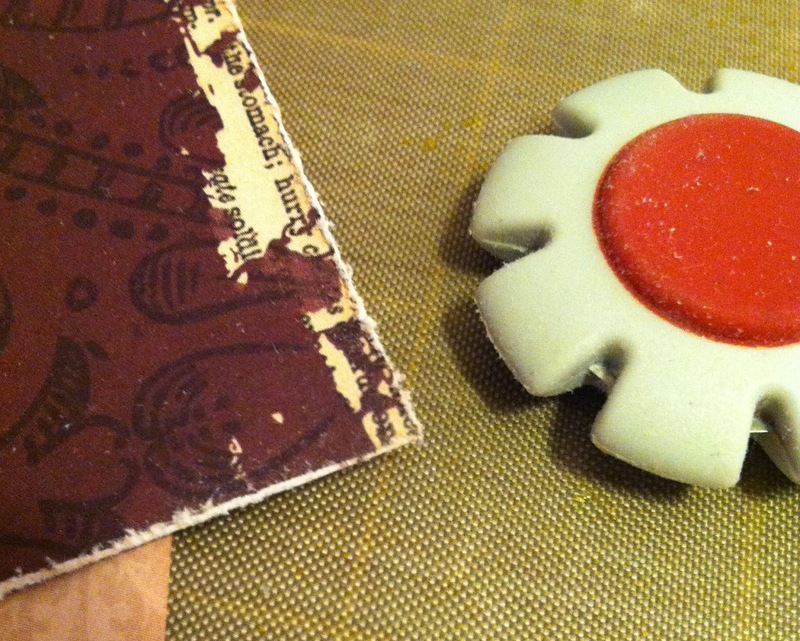 Adhere two burgundy buttons to the bottom right side of the card. Use the photo below as your guide to placement of these embellishments. With a glitter pen or Stickles, add some shimmer to the bird. You may wish to add more embellishments, or perhaps a ribbon or bow. Stamp the inside of the card with "Happy Valentine's Day" and you are finished! For fun, I made a variation of this same card. 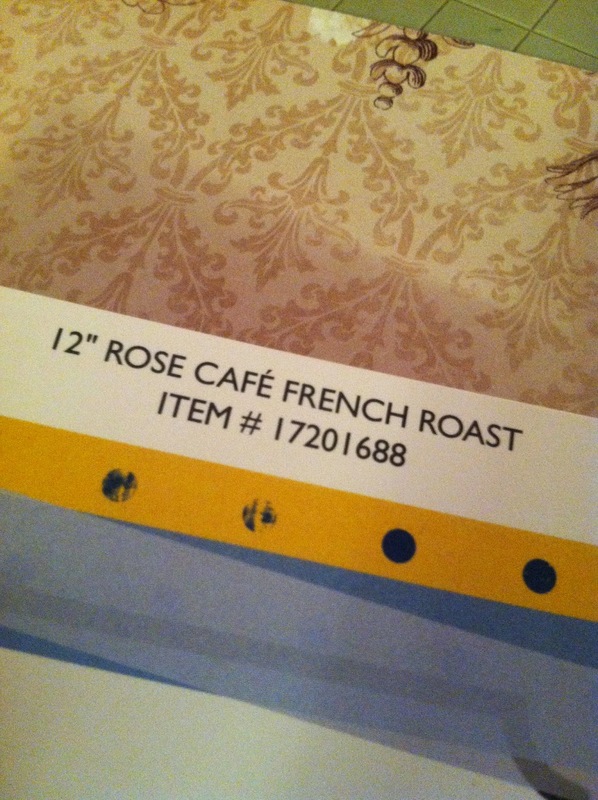 Try making a collage card with your own Rose Cafe' paper bundle! 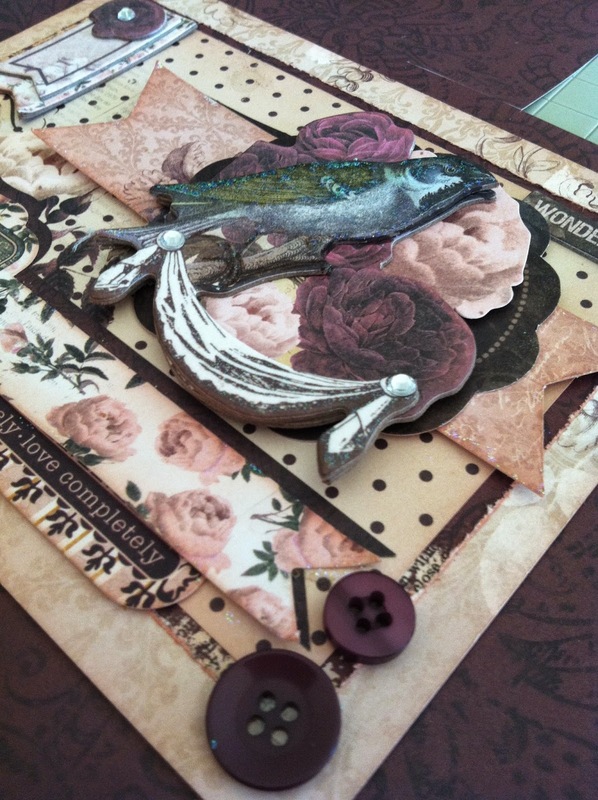 If you would like to read more about Collage Cards please visit my blog at www.crabtree-creations.blogspot.com. Type in Collage Cards in the search bar.